Certainly not the best show from the short NewPower Soul Festival tour of Europe in December 1998, but a mighty impressive recording indeed. This is most definitely a case of the quality being superior to the content, and whilst the show is enjoyable it is pretty basic and (on the whole) an unadventurous run-through. The recording is of excellent quality with bare minimum of crowd noise throughout. The recording is slightly thinner than a number of other Sabotage releases from the tour, but is above criticism from me. The show is rather straightforward and certainly free of anything unique which makes various other shows from the tour so enjoyable. 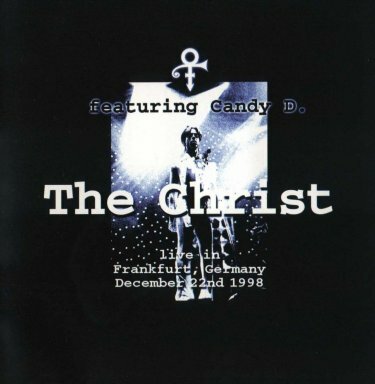 Prince recites the opening verse from '4 The Tears In Your Eyes' during the intro speech of 'The Christ', and the very brief inclusion of 'Kamasutra' to the piano segment are the only real noteworthy incidents throughout the show. My personal highlight comes in the form of a bizarre techno intro to 'Baby I'm A Star' which is very short but extremely funky. The inclusion of Larry Graham's opening act is a rather pointless addition and while Prince is present during a number of the songs, the man wailing on the mic cancels out anything Prince could have added to the set. The accompanying packaging is rather basic and suits the show's content perfectly as it is unsurprising and lifeless. A small review has been included, but it is hardly a critical masterpiece. Overall this is a rather dull release of a rather average show. The quality of the recording is superb, and the pity is that the show itself doesn't match the recording's high standard. Most of these Jam of the Year tour shows just don't do it for me. This one is rather flat and the sound quality is average at best. Fill other holes in your collection first. The concerts played throughout 1998 were largely just revised versions of those played throughout 1997 but this show sounds very fresh in spite of this. A very brief excerpt from the Kamasutra suite finds its way into the piano medley and it's a shame it doesn't go on for longer. A fine show that is on a par with many of the others from the same Winter 1998 tour.